Net Size Range 1600 mm W x 2500 mm H max. 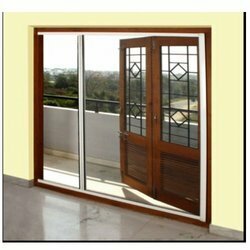 We are offering Horizontal Retractable Doors to our clients. These are convenient, easy to install, easy to operate. Offers complete protection from insects and is very easy to maintain.It retrieves 100% natural light and fresh air. We are offering Barrier Free Retractable Doors to our clients. These came with an elegantly pleated net. Double cassette doors for wider openings, ideal for large balconies, verandahs, French windows and Bi-fold doors etc. 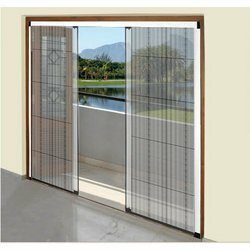 Looking for Retractable Doors ?